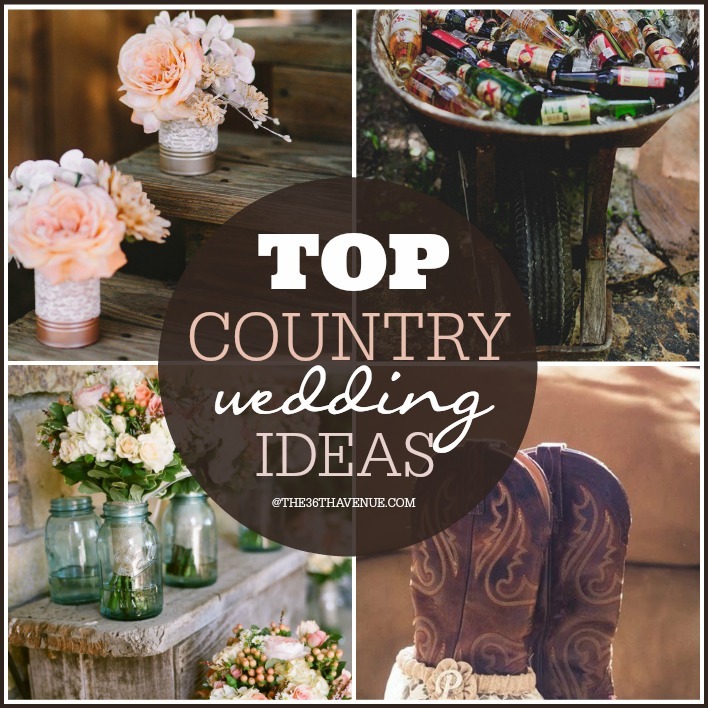 Wedding season is here and today I’m sharing some of my very favorite Country Wedding Ideas. 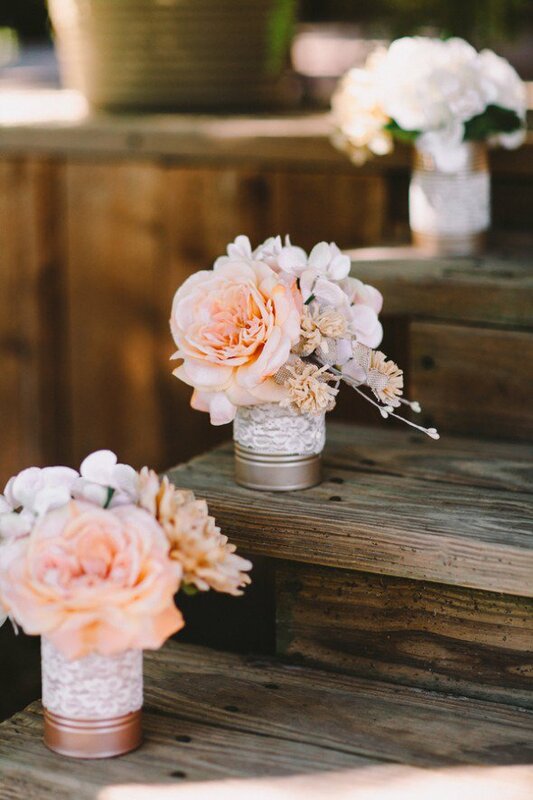 These are not just affordable wedding decorations but super cute ideas that you can do yourself. I can’t wait for you to see them all! Who says the groom needs to wear a suit? 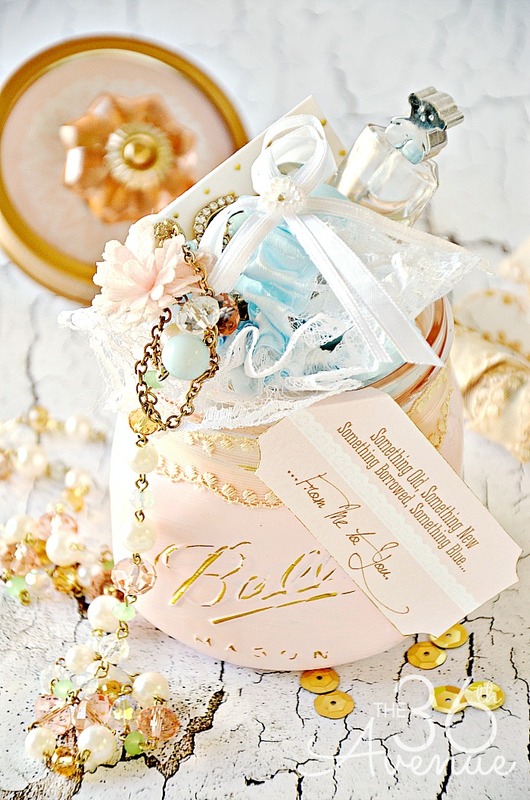 Every bride needs something old and something new! Adorable bride up-do with pretty baby breath. 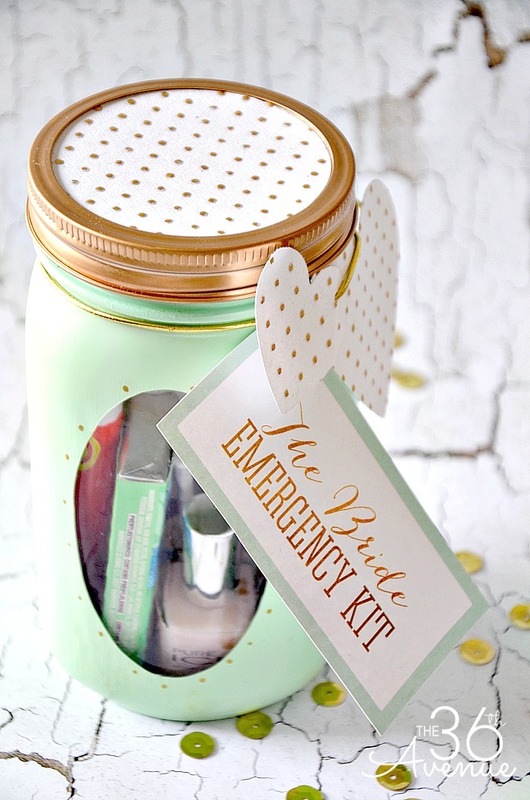 Read more at The Knot. 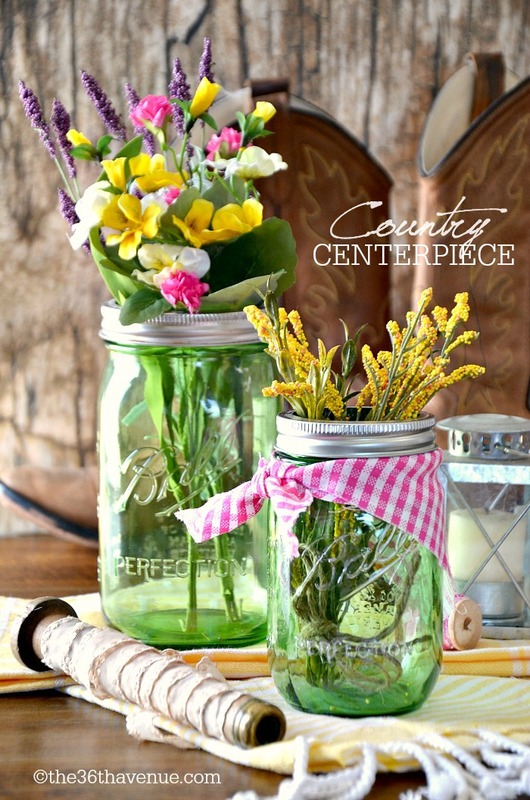 What about using Mason Jars for flower vases? 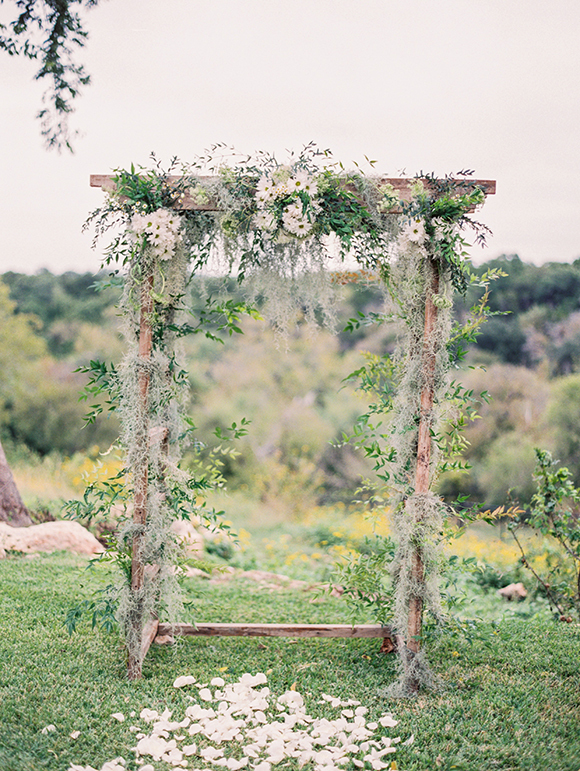 I love everything about this colorful flower arch! Use tree trunk pieces as trays! Read more at Colin Cowie. 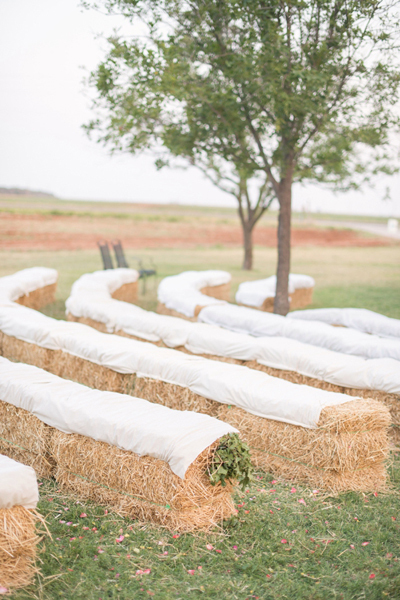 Hay bale seating for the ceremony… Such a fun idea! 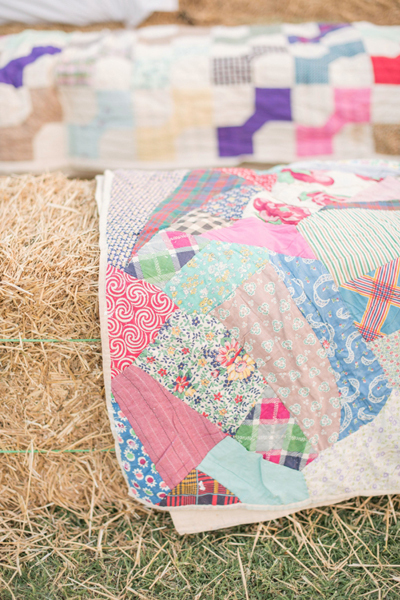 See more of this Farm Wedding at Southern Weddings. 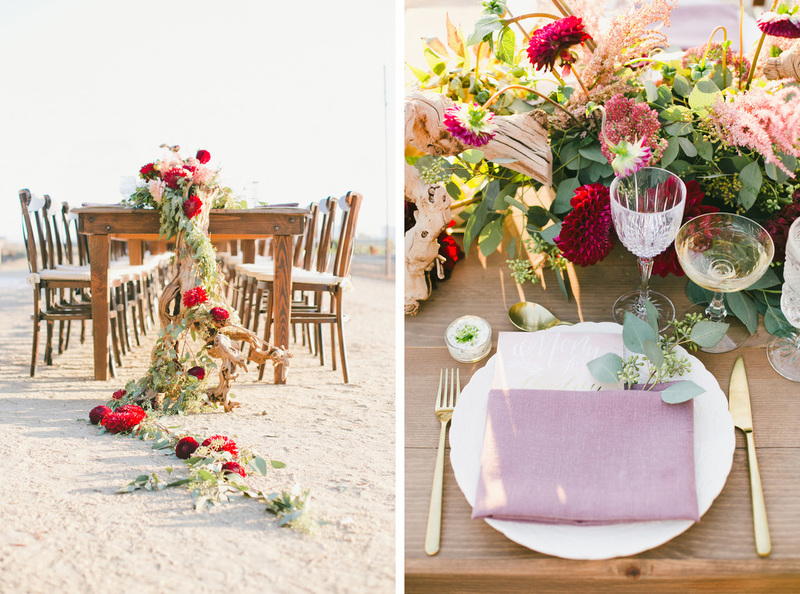 I’m in love with this flower table runner… So pretty! 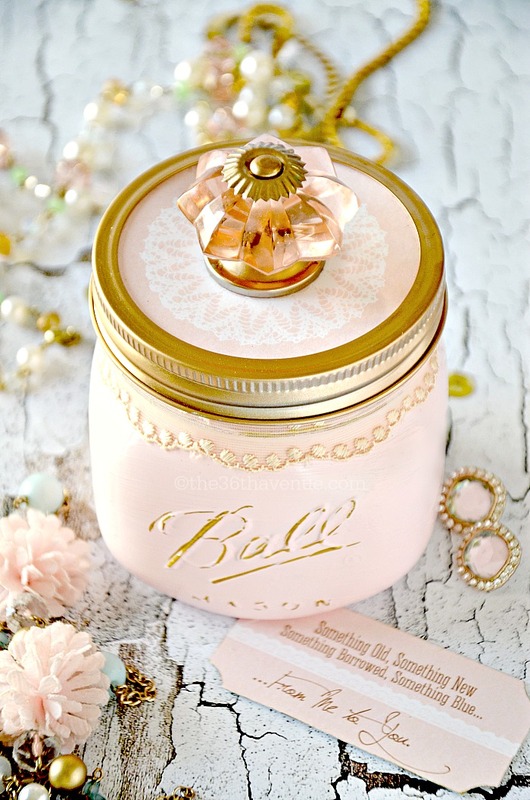 Such a cute and clever idea! 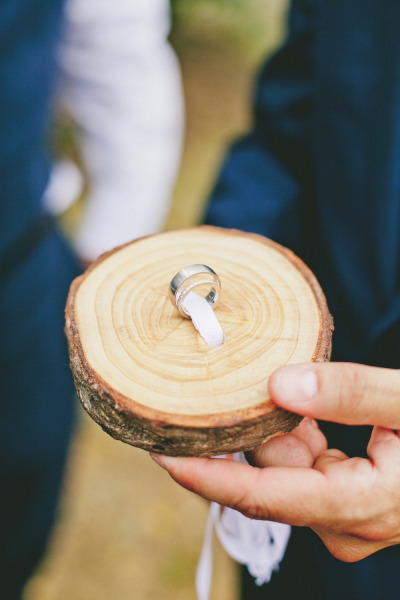 Attach the rings to a small tree slab as ring-bearer’s “pillow”! 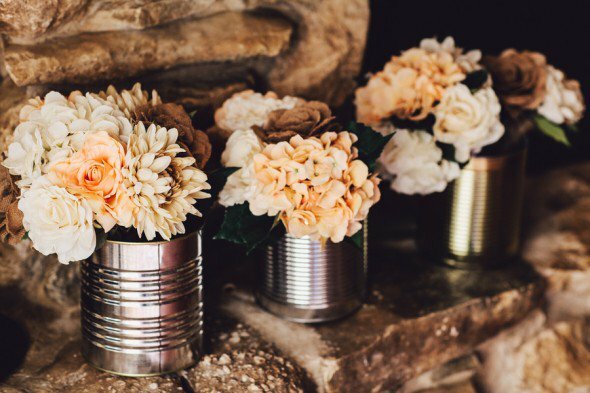 Recycle empty cans and use them for flower vases! 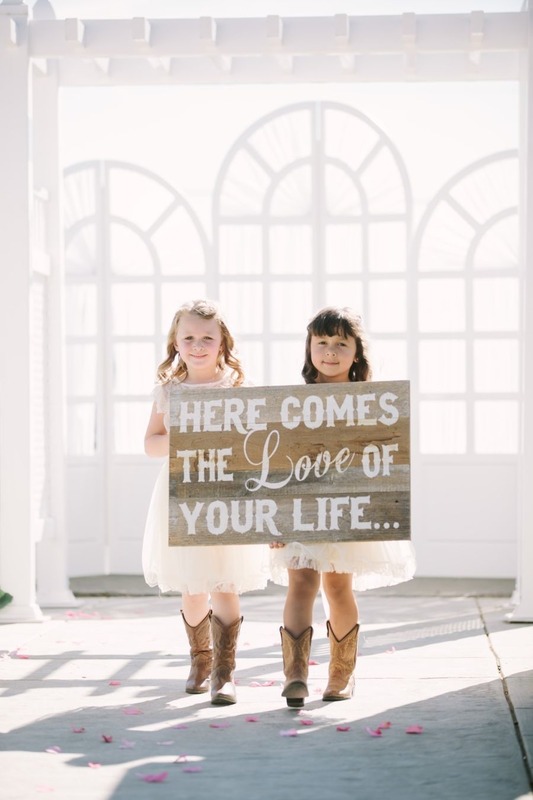 I love this gorgeous country wedding at Rustic Wedding Chic. 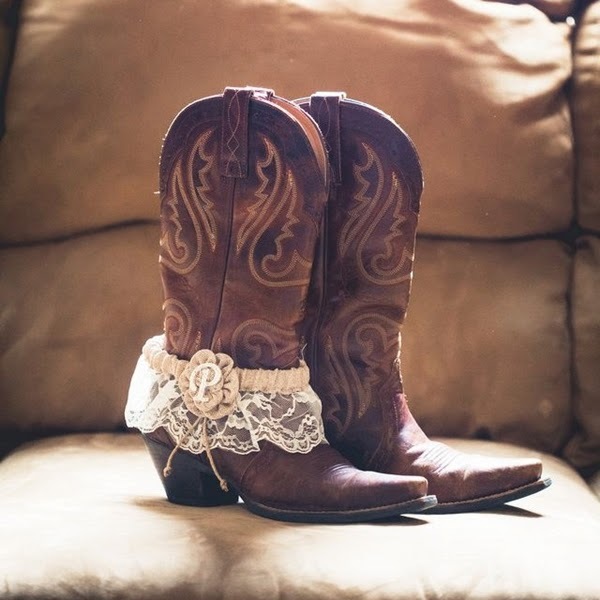 Another gorgeous country wedding over at Style Me Pretty. 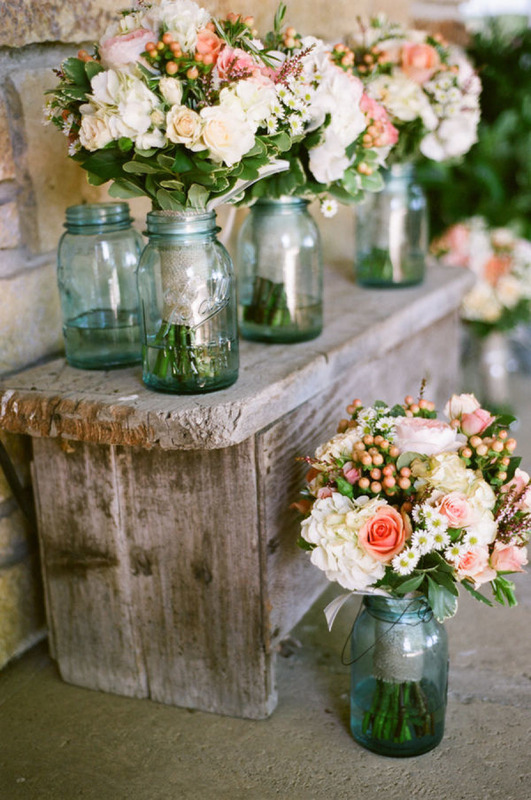 I saved for last this rustic floral arch… So very beautiful! 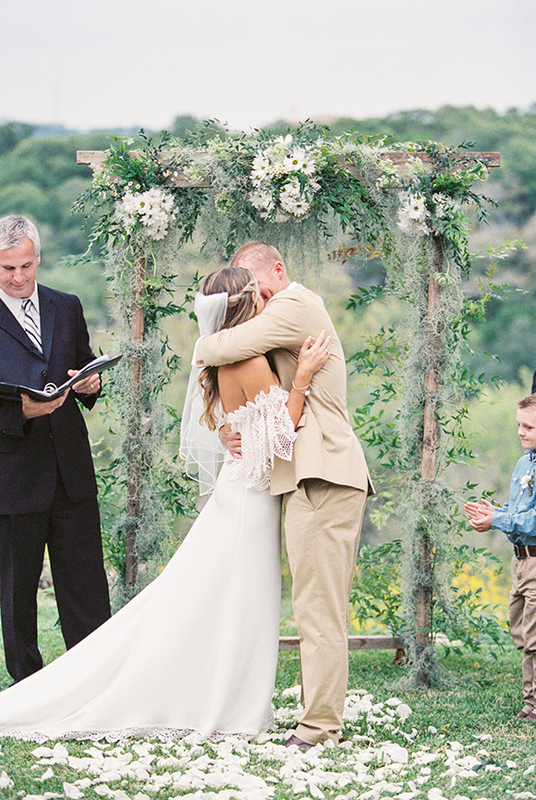 You can see more of this beautiful backyard wedding at Magnolia Rouge. 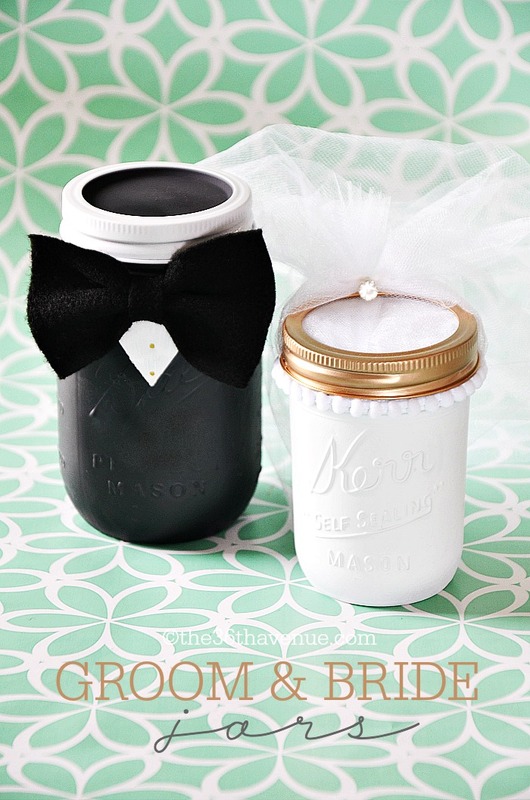 Here are some other Mason Jar Wedding Ideas that we like!